In a combustion engine, fuel injection is necessary so the right amount of air can be mixed with the fuel. This is very common in vehicles that have been made in the past 20 years. 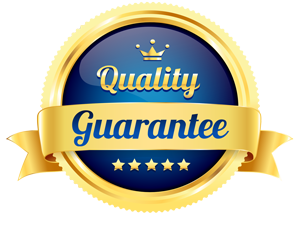 Earlier vehicles before the 1990’s still rely upon the carburetor for this process to take place. Fuel injectors work better though and much easier. 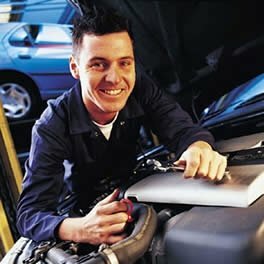 They also make sure that the wear and tear on the engine is kept to a minimum. Another reason for them is to help reduce the amount of emissions into the environment that are harmful to us. There are different designs out there for fuel injections that are based on the type of fuel that will be used in the engine. The two most common ones are gasoline that is either unleaded or regular. They are also common with many types of diesel fuel engines as well. 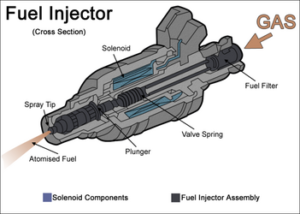 Fuel injections are electrically operated and they are able to open and close the valve several times in a matter of seconds. The timing of how long a fuel injection valve will stay open depends on the type of vehicle. Some need more fuel to get into the engine at one time so it will be timed differently than one that needs less fuel to be operational. Also, the faster you operate a vehicle the more fuel it will need. So when you have your foot down on the gas pedal you will cause the fuel injections to remain open longer. There are sensors located at various places around your engine. The are able to read the information from your vehicle and determine how these fuel injections should work. If they aren’t working right your vehicle may not be able to function like it should. It can be very expensive to get this type of problem with your vehicle fixed. The electronic fuel injections may need to be replaced as well as those sensors in order for it to work correctly again. Manufacturers continue to work very hard to improve the benefits from fuel injections. They are involved in research so that they can make them more fuel efficient. They also have been experimenting with alternative methods of fuel so that we can preserve our natural resources. Make sure to keep your Fuel Injection Clean and in Top Working Condition.